The J. Bradley Aust Surgical Society was formed in 1967 to maintain a close and lasting relationship with the institution of our surgical training (the integrated program in general surgery of the University of Texas Health Science Center San Antonio and the United States Air Force Medical Center, Wilford Hall) and to enable our members to continue our own education in the surgical sciences. The Aust Society is not organized for profit and no part of the net earnings shall inure to the benefit of any private member or individual. 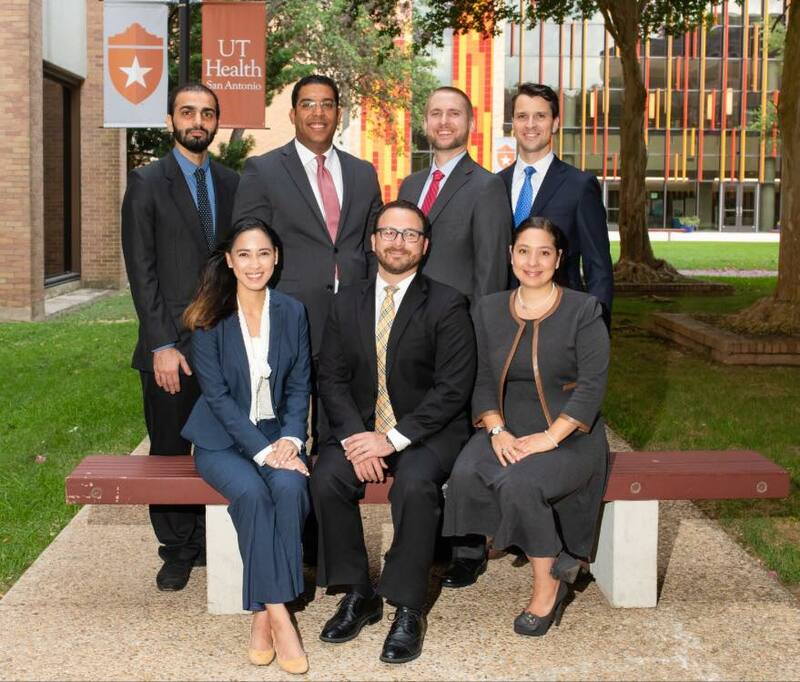 Left to right (front row) Carissia Calvo, Jason Aminsharifi, Andrea Garcia; (back row) Abdul Alarhayem, German Almonte, John Wiersch, Jared Folwell.